The repositioning will underline the company's heritage as an American brand and try to dispel the notion that a good looking shoe for women can't be comfortable. CANTON, MA: Shoe company Rockport has brought on Shift Communications as PR AOR is it begins a global brand repositioning. Shift will work on product placement, trade show support, and influencer campaigns, as well as messaging for the brand revamp, said Shift VP Annie Perkins. "Shift’s primary focus is on a creative, data-driven media relations program that ties back to our brand goals and values," explained Rockport SVP of global marketing Sue Dooley. "They will also be supporting us with social media strategy, event planning, and implementation." Rockport launched its Made for Movers campaign on Wednesday, which reflects the brand’s repositioning by spotlighting the "passionate shoemakers" at the company and the "ever-moving" people who wear them, explained Perkins. The campaign will be a major focus for Shift. "The Made for Movers campaign is really showcasing the essence of a moving population," explained Perkins. "No one is sitting at their desks anymore; whether standing at a tradeshow all day or running around working a retail job, people are always on the move, and Rockport is there to support you in that." The repositioning will underline the company’s heritage as an American brand, its dedication to the art of shoemaking, and its commitment to creating footwear for the everyday mover, said Dooley. "It’s great to work for an organization made up of actual craftsman that appreciate everything there is about the shoe," said Perkins. "So we want to bring that heritage messaging back so people understand the quality of the product and all the benefits the shoe offers." Timed for the release of its fall 2016 collection, Rockport’s new look and attitude will be visible in all branded environments, including its retail stores, wholesale display program, showrooms, trade-show booths, and its future headquarters in Newton, Massachusetts, Dooley said. Additionally, Rockport will unveil packaging, advertising, and a refreshed digital experience. Its new website and social media channels will evolve in the coming months. They will "share real stories of the movers behind the scenes at Rockport and those in front of it, consumers moving in their everyday lives," said Dooley. The brand’s repositioning is taking place one year after New Balance Holding, the company's investment arm, and Boston-based Berkshire Partners bought Rockport from Adidas Group for $280 million. Drydock Footwear Group and the Rockport Company then joined forces to become the Rockport Group, which is home to the Aravon, Dunham, and Rockport brands, as well as the Rockport Cobb Hill Collection. Dooley added that the company also wants to drive interest in women’s footwear. "Shift can help us better understand our consumers through analytics and fine tune our messaging and our customer outreach," she said. Perkins added that the biggest messaging challenge will be getting women out of the mindset that comfortable shoes can’t be good-looking. "You can have a stylish pump or a good looking shoe and actually have it feel good while you’re wearing it," said Perkins. "These are very fashion-forward, on-trend, on-point shoes." Perkins is leading a team of six Shift staffers on the account from the firm’s Boston office who are focused on leveraging analytics to inform and drive results. CBC (Cercone Brown & Company) was the incumbent on the account. Dooley declined to comment on why and when the relationship ended. "Shift stood out as their data-driven process was unique and highly strategic," said Dooley, of the reason Rockport selected the firm. "We also valued the fact that they have a marketing technology arm that can help us integrate and amplify our PR successes through social media." Budget information was not disclosed. Shift was selected in June, following a competitive RFP process that began in April. 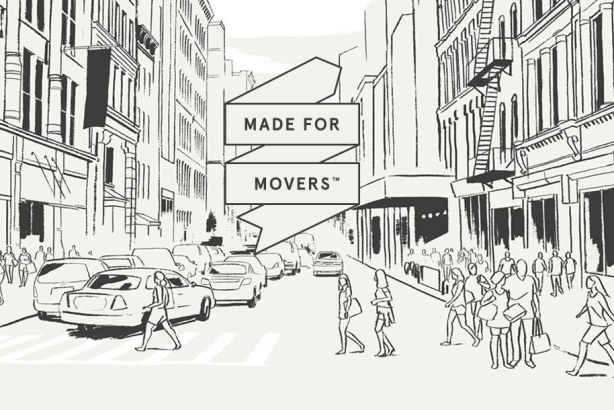 Madwell, a Brooklyn, New York-based creative agency, is leading the concept and design of the rebrand and Made for Movers campaign.